Avraham Even-Shoshan was an outstanding Hebrew Israeli lexicographer who wrote A New Concordance to the Bible. He was active in the Poel Hatzair (The Young Worker). In 1928, he completed his studies at the David Yellin College for Teachers, becoming a qualified teacher. He immediately started working in the elementary school near Beit HaKerem. There he enriched the students with poetry and with special ceremonies that he held for Kabbalat Shabbat, the new month and for every holiday. “On my first day at college, I remember it as if it were yesterday, our excellent teacher read the names of the students. He read the names, Russian and other foreign names, with a sneer and said, ‘What is this? What kind of names are these? We must have Hebrew names.’ All the students rushed to choose a Hebrew name. One said Ben-Moshe, another Ben-Eliezer. I remembered the pen-name my father used, because of the Russian censors, when he signed the articles he used to send from Russia to newspapers in the Land of Israel. I chose that name, Even-Shoshan. From Naomi Gutkind's interview with Even-Shoshan. 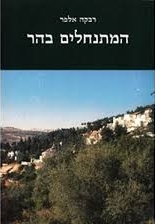 Abba Ahimeir was a spiritual leader of the Revisionist Movement, the Beitar Youth Movement and Tzohar. He was a journalist, an historian, a philosopher and an Israeli writer. As a young man, he was attracted to Zionist socialism and became close to its leaders, Aharon David Gordon and Beryl Katznelson. He admired them greatly. In 1920, he moved to Vienna, where he met the Zionist leader Ze’ev Jabotinsky for the first time. In 1928 he joined the Revisionist Movement together with his friends Uri Tzvi Greenberg and Yehoshua Heschel Yeivin. 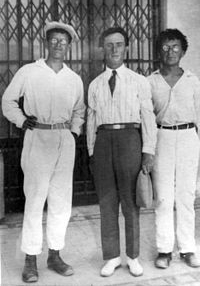 The three men founded the Revisionist Labor Bloc at a conference in Nahalat Yehuda. He began to publish articles about current events in the newspaper, Doar Hayom. He was active among the movement’s young people and lectured Beitar leaders at schools. 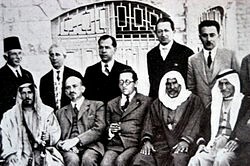 In 1930, he founded the organization, Brit HaBirionim (The Union of Zionist Rebels), which was the first to protest and demonstrate against the British Mandate, which they called a foreign regime. The maximalist bloc in the Land of Israel was a group that opposed the moderate stance of the Revisionist Movement. They wanted to organize a military force that would rebel against the British occupation, would conquer the land and would form a sovereign Jewish state in the Land of Israel. 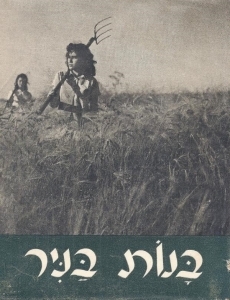 Rivka Alper was an Israeli writer and editor. She was born on Hanuka, 1902 in Pelech Vilna. Her father was a kosher slaughterer and a Hebrew teacher. She grew up in the Ukraine. She came to Israel in 1925 following her brother and sister. She went to Givat HaShlosha and worked as a laborer in Petach Tikva. 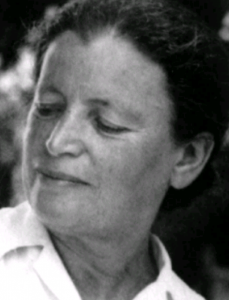 In the 1930s she started to work in Na’amat, an organization for female workers and she was also a Bible and literature teacher in training centers for women. During those years, she began to publish stories in the newspaper, Davar, under a pen-name, Ella R. In 1944, she joined the staff of the newspaper, Davar Hapoalet. She published two historical books, Settlers in the Mountain, the history of the families that settled in Motza and A Family Tale, which tells the story of the Denin family. It won the Haim Greenberg Prize for Literature in 1957. 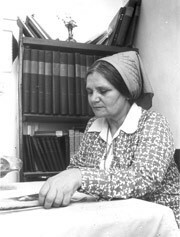 Alper spent a lot of time researching the Jews of Peki’in, but she died before she finished her writing. 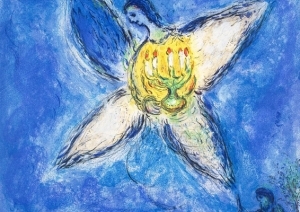 The People of Peki’in – the story of the families that kept the Jewish flame alive in the city. 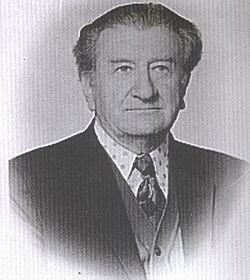 Dr.Haim (Victor) Arlozorov was a statesman and an economist. He was a leader of the Labor Movement in the pre-state period and head of the political department of the Jewish Agency. He was murdered on a Tel Aviv beach in 1933. After he came to Israel in 1924, he became part of the leadership of the Eretz Israeli Hapoel Hatzair (The Young Worker). He was the only one of the young people who came to the Land of Israel during the Third Aliyah to reach a leadership position in the party. He stood out because of his strong personality, his mature statesmanship, his eloquence and his knowledge of Hebrew, Russian and German. Arlozorov strongly opposed the unification of the two leading labor parties in the Yishuv: Ahdut HaAvoda (Labor Unity) and Hapoel HaTzair. Nevertheless, in 1930, when the two parties joined to form Mapai, (The Workers’ Party of the Land of Israel), Arlozorov was one of its leaders. 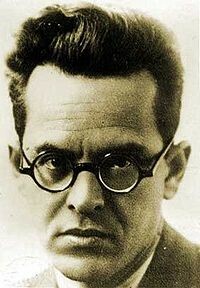 Haim Arlozorov was murdered in 1933 while walking with his wife, Sima, on the Tel Aviv beach. His murder shocked the Yishuv as he was such an outstanding person. The main suspects were members of the Revisionist Movement. The hate campaign they had been conducting against him was still fresh in the minds of the public. Shortly thereafter, Revisionist members c were arrested as suspects in the murder and Meir Ahimeir was arrested as involved in soliciting to murder. Years later, it was learned that the Revisionists had not murdered Arlozorov and the case remains unsolved. We have unanimously determined that Avraham Stavsky and Tzvi Rosenblatt were not the murderers of Haim Arlozorov and had nothing to do with the murder. Based on the evidence and the material which we have , we are unable to determine who the murderers were or if it was a political murder committed by a political party. Zelda was born in Słupsk, Poland (today Dnipropetrovsk ) in the Ukraine. Her mother was Rachel, the daughter of Rabbi David Tzvi Hen, an important Habad rabbi. Her father was Rabbi Shalom Shlomo, the son of Rabbi Baruch Schneur Schneersohn, who was a descendant of important Habad rabbis. Her family lineage, especially her grandfather who died when she was still young, greatly influenced her. Zelda was a cousin of the last Rabbi of Lubavitch, with whom she was very close. In 1926, when Zelda was 11 years old, she and her family came to the Land of Israel and settled in Jerusalem. Zelda learned in the Spitzer School for Girls. According to Zelda, her childhood years in Jerusalem were unhappy because of the family’s economic hardships and the school’s strict atmosphere. The situation changed when she went to study at the Mizrachi Teachers’ College where she was influenced by renowned teachers, such as Akiva Ernst Simon and Feivel Meltzer, the son of Rabbi Issar Zalman Meltzer. She went on to become a teacher and taught with Nechama Leibowitz. In 1950, she married Aryeh Mishkovski, a graduate of the Hebron Yeshiva, who worked as a clerk and an accountant. The couple was childless. They lived in Jerusalem, in a very modest apartment in Kerem Avraham. He died in 1970. Zelda moved to the Sharei Hesed neighborhood. She died on Holocaust Remembrance Day, 1984.
my heart sinks in emerald waterfalls. With joy, with song and with toil. And adorn you with beauty. The crops will jingle their bells. What we haven’t given yet – we will. To the top of the mountain we’ll climb. But to tomorrow the road is long. We are your in combat and in toil. 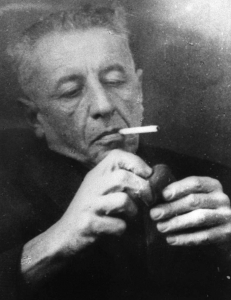 Nathan Alterman was an Israeli poet and playwright. He was one of the most important poets of modern Hebrew. When he was 15 years old, he and his family came to Israel on aliyah. The family settled in Tel Aviv and Alterman studied at the Herzliya Gymnasium.Alterman’s works include lyrical poetry, songs, children’s songs and musicals. He translated literary masterpieces and wrote about current events in poetry and prose. 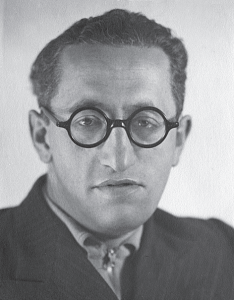 Many of his poems dealt with Tel Aviv, however, with the outbreak of World War II, many of his poems dealt with the war and with the Holocaust. Their tone was encouraging and consoling. 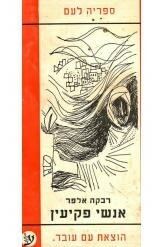 After his death, Rega’im, two volumes of his poems were published in 1974 by the Kibbutz Hameuhad publishers. Many of his poems expressed opposition to the British and support for the Palmach and the Haganah, which fought against them. In some of his poems he condemned the actions of the Etzel and the Lehi. One of his most famous poems is The Silver Tray which appeared in the newspaper, Davar on December 19, 1947 with the outbreak of battles in the War of Independence. The poem describes the sacrifices of the soldiers in their struggle to establish a state and the price, paid in blood, which the state had to pay.